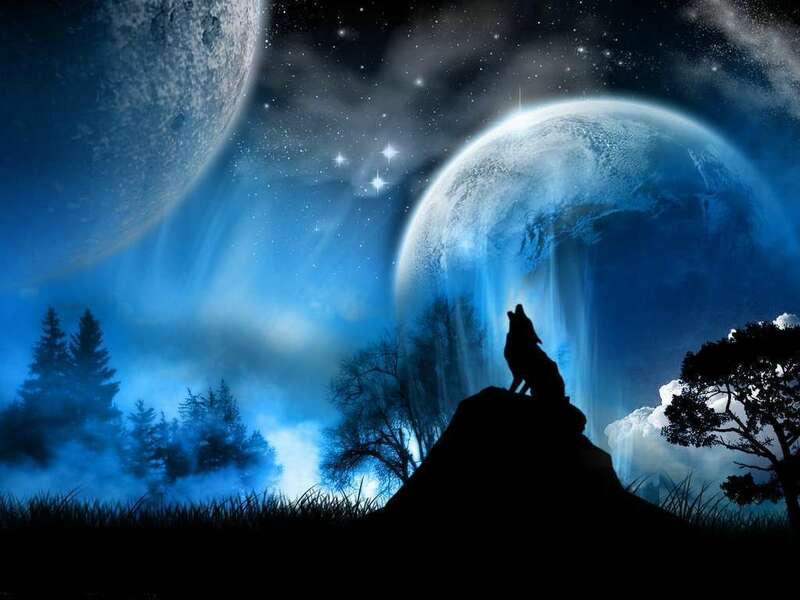 There are 10 posts in this thread, and it has been viewed 5726 times. 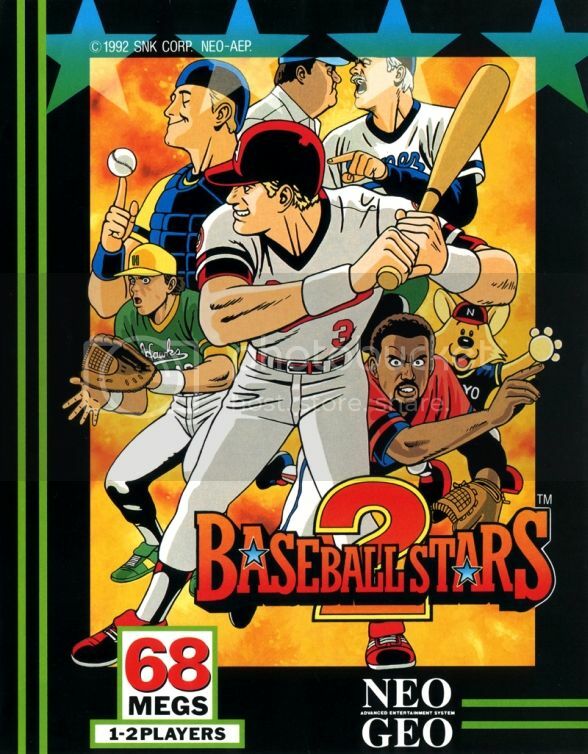 Baseball Stars 2. What do you think of it? After two GotW additions from Stray and a (rather dissapointing) long absence of any GotWs at all, I thought it's time to finally resume work on this NGFL tradition. I haven't heard anything from Kaz yet, but I think it's better to resume working on this rather than always pushing it back. If Kaz may step in someday to share his improvement suggestions with us, we still can implement his announced ideas. However, this time we'll take a look on another sports title, one of the most popular sports titles on the system in fact. 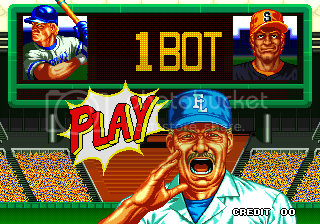 Back with fancier graphics and a refined gameplay, the sequel to Baseball Stars Professional enthused crowds of arcade visitors in the early era of the Neo Geo. SNK even let ROMSTAR develop a NES version of the game. In fact, the first Baseball Stars game ported to the NES has often been referred as the best Baseball game ever on the the 8-Bit system. 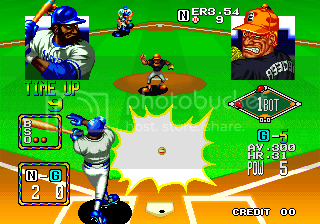 Baseball Stars 2 is a two-player baseball arcade game released by SNK in 1992 for the Neo-Geo console. A less cartoony console version was released for the NES by Romstar the same year. You can select from one of 18 teams across two leagues - Exciting League (beginner) & Fighting League (expert). I remember the first time I played this game. I still think it's the best sports game ever. I'm not really into sports games, but I detest most sports games from today and the past decade. NFL Blitz and NBA Jam were the latest sports games that I actually enjoyed playing. It ended up being one of my favourite games on SNK Arcade Classics (you can laugh) after I went in fully expecting to hate it. Replayed it, and after getting used to the batting, it's still as tight as ever. 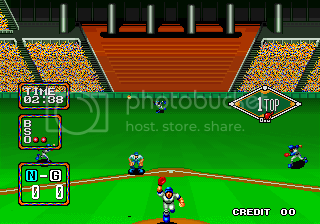 If anyone's craving for a more recent game in the same style, The Bigs 2 is a really good arcade baseball game for current-gen consoles. Fans of the NG sport games should appreciate it. I bought the Bigs 2 for $5. The only reason I bought it was because of Baseball Stars 2. I thought it was kinda neat but I lost interest in it long ago. 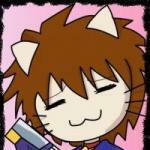 I love Home Runs in that game though. Haven't played this, though I played the original Baseball Stars a few times in the arcades. It was decent, and from the look of things it appears the sequel improves on a number of aspects, particularly the visuals. Never cared all that much for baseball sims, though I do own 2020 Super Baseball as it came bundled with my first AES deck! It's ok, but due to lack of interest I've rarely played it. BS2 looks good. I'll have to at least try it via emulation if it's well-regarded by a number of you! Who knows? perhaps it'll win me over. difficult in single player mode. It seems a lot easier to hit the ball well and score runs in this sequel. It's enjoyable to play through a whole season saving your progress on a memory card. 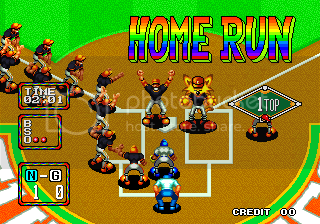 One thing I noticed is that if you start to get a good lead of 3+ runs over the cpu teams they tend to go a bit crazy and regularly hit the ball really far including scoring home runs. The kind of game which I think most people would really enjoy even those who don't normally play sports games and/or have no interest in baseball. Nice to see GOTW return.